Heat oil in a wide-bottomed pan. Add onions and the cubed capsicum, saute until they are soft but firm. 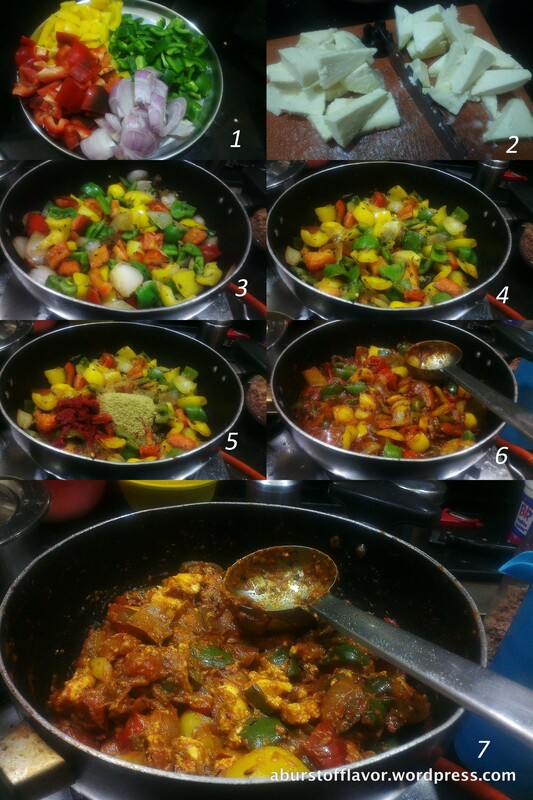 They need to maintain their colour and firmness, so cook by adding water little by little in stages. This should take about 5 minutes on a medium flame. Add ginger paste and quickly sauté until the raw smell of ginger is gone. Crush dry kasuri methi leaves with both palms and add this to the pan. Mix well. Add tomato paste (or puree of 1 tomato if using), and all spices – namely turmeric, chilly powder, coriander, cumin, pepper, cinnamon. Add salt and sugar. Add a ladleful of water to this and cook well for 3-5 minutes on a medium flame until the oil separates from the tomato-spice mixture. Adding water will also prevent the spices from sticking to the bottom of the vessel and burning. Add the paneer and fresh cream. 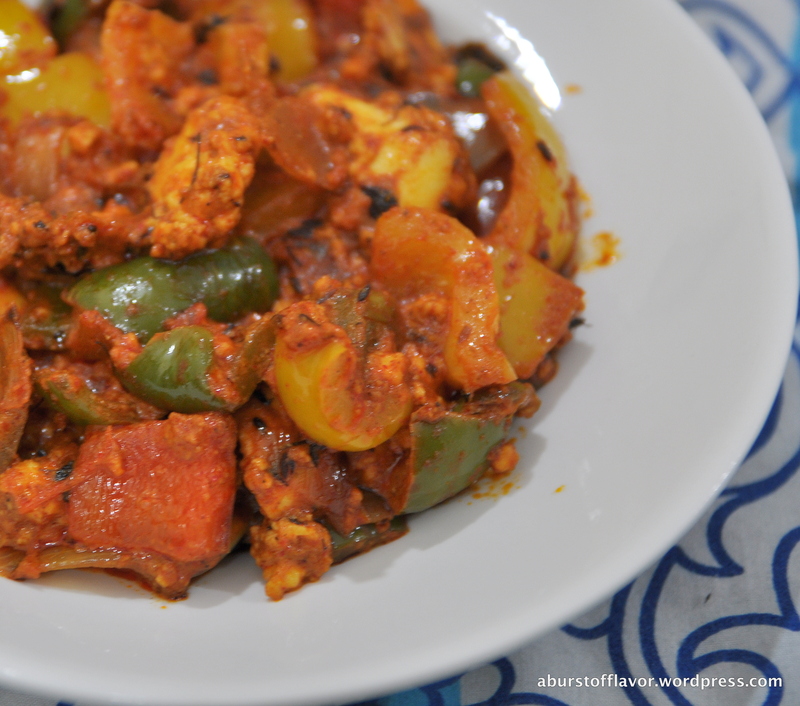 Stir gently, since the paneer pieces are very soft and tend to break (especially if you are using homemade paneer). Add some chopped coriander to garnish. Serve hot with Rice or Rotis.